I don't read many graphic novels, but there was so much hype about this series that when I saw it on the shelf at my local library I thought I'd give it a go. I am glad I did. I knew nothing about the Boxer Rebellion going into this, so it was a nice light way to introduce me to the historical event. I liked that Yang uses a central character, Little Bao, to convey the story and the events of the Rebellion. Although, I do think it would have been more effective if he had combined "Boxers" and "Saints" into one volume and alternated between the two. Just a personal preference, but I think seeing the rebellion from both sides simultaneously instead of separating the perspectives into separate volumes would have conveyed a more powerful message to the reader overall. 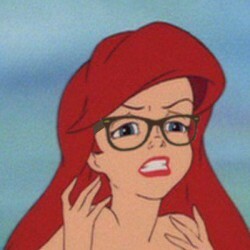 But anyway, going back to the characters. The amazing thing to me about the characters in this book was the fact that the art itself was often very simple, but Yang is still able to give each and every person distinguishing characteristics so you always recognize the players within each panel. The events of the rebellion are really very horrifying, but Yang does a fairly good job giving the actions of Little Bao's group context. There were only a few times throughout the book where I felt that Little Bao's decisions could have been better justified and explained. I am sure it's hard to do this at all in a graphic novel, considering you cannot really get inside a characters head as easily as you can in a text-based novel. The way Yang uses the Gods and dreams as a method to allow insight into these things was very clever and well done, if a little lacking at times. Overall this was a fine book, I simply was not as totally blown away as many people were. Maybe I would have enjoyed it more if I had known about the Boxer Rebellion prior to reading the book, but if that is the case I am not sure this kind of prerequisite is fair to the reader. At the very least, the book got me thinking and has piqued my interest in the Boxer Rebellion. It seems crazy to me I had an entire section of a world history class about China and we did not cover this, but stranger things have happened! 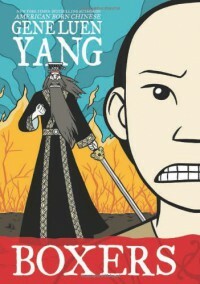 If you enjoy graphic novels and historical fiction, in particular Chinese history, you will love this, so go grab it up!